The first thing that comes to everyone’s mind when thinking about virtual reality is playing computer games and chasing random characters. But instead of sitting in front of a TV set with a joystick, you can immerse in the fictional world and feel like you are a part of it. But is that it? 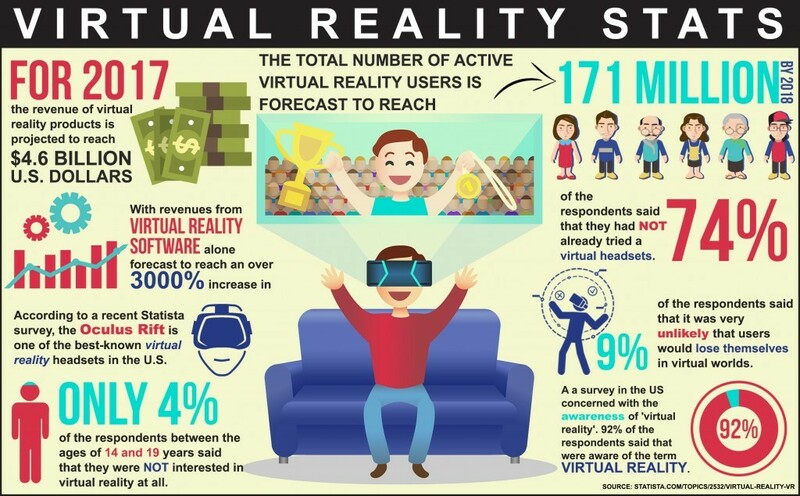 What is a virtual reality – the most recent hype of technological world? Turns out, there are plenty of other industries, where virtual reality can be applied, and to your surprise, some of them can directly affect you. Let’s have a look at this often misunderstood technology and try to break it down into digestible pieces. The definition of ‘virtual reality’ is not as difficult as it may sound – it comes from both ‘virtual’ as a near us experience, and ‘reality’, something we can experience as human beings. The term itself can apply to almost anything that is possible to exist in reality but is stimulated by a computer. As children, we learn to experience the world around us through our senses and perception system. We know that we can get to know everything through our sight, hearing, touch, taste and smell. Anything that touches our sensory inputs is automatically received by our brain which continually processes an abundant flow of information. Hence, everything we know about reality and anything that is familiar to us comes through our senses. Thus scientists could conclude long time ago that our experience of reality is a combination the sensory information received by a brain and its sense-making mechanism. Our senses don’t know if the information presented to it is real or made up, they just act as receptors. It is up to our brain to make sense of it adjust the perception of reality. Hence, virtual reality is a process during which one is presented with a version of reality that doesn’t exist, but our brain perceives it as real due to all of the sensory information. 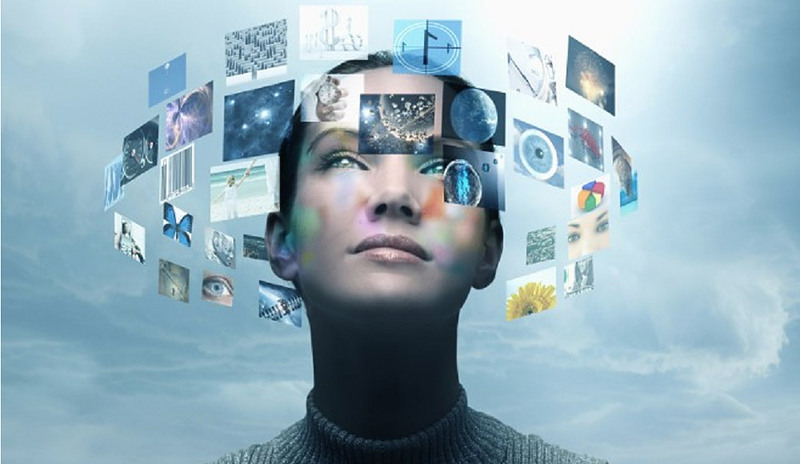 In case of virtual reality, the experience is presented by a computer-generated virtual environment that can be seen, heard and felt by us. How can it be achieved? By computer technology that is implemented in headsets, omni-directional treadmills and sensor gloves. Through the synchronisation of hardware, software and sensors, the user can achieve a sense of presence where it feels like the virtual surroundings are present. Virtual reality (VR) is a term describing a computer-generated environment which can be experienced by humans in a three-dimensional technology. The user can experience the immersive virtual environment and exploit objects and events by a series of actions. Often wrongly thought, virtual reality is not so much an invention of the future as many would think. The beginnings of it can be traced as far as 1860 – long before the development of digital technology. The history of virtual reality is surprisingly long, but it originated back in the 19th century with the artists and architects trying to achieve a 360-degree murals or artworks. The early creators believed that the audience should be able to suspend their reality, disbelief and immerse entirely in the performance, eventually considering it as reality. Afterwards, there were multiple attempts at creating stimulation devices throughout the 20th century. From pilot stimulation machines to perhaps the most famous one – Sensorama. This multimedia device was a form of an interactive theatre experience, where the viewer sits on a rotating chair in front of the screen. From there, they have been given an illusion of depth by being able to see things from different angles. Followed by multiple developments of mounted displays, interactive displays and human-computer interactions, it wasn’t until the 90’s that virtual reality has experienced the real boom. There was a lot of hype surrounding the new technology, from 3D graphics and gaming to producing the first attempts of augmented reality. And all that to create a pathway for what was going to happen in the 21st century. Nowadays, gaming is only a small part of what virtual reality is capable of. Technologists around the world research virtual reality with an attempt at improving the current quality of life. Including healthcare, aviation, education and many others that we will cover later on. A basic computer or a laptop won’t be able to create images that are required for virtual reality. Only powerful machines, with realistic 3D graphics, can cope with images that are interactive, realistic and fast. The primary purpose of virtual reality is to be both believable and interactive, engaging both body and mind. A user must be able almost to get lost in a fantastic, interactive experience for hours. And all that with fully conveyed sight, sound, smell and taste. Virtual reality is not just about ‘getting’ into a different world, once a user enters that space, it has to interact with them. Unlike watching a 3D movie, where you are just sitting in front of the TV set, virtual reality invites the user in for a journey and moves around with them. While it’s hard to imagine how distant future or a different planet will look like, virtual reality has to feel like the user is a part of the real world. It doesn’t matter if it seems futuristic or unfamiliar, as long as it makes the user feel like they’re in their virtual world. The reason why so many VR games became popular is that they don’t have a specified end. Instead, they are big and open to exploring. The user doesn’t have to follow a particular scenario planned by an author – they have the freedom to explore it themselves. Not everything that is marked or labelled as virtual reality is indeed one. Some video games, television programmes or 3D films are described as virtual reality, when in fact, they don’t tick all of the VR characteristics. More importantly, virtual reality is not only about escapism and getting lost in a different world. Very often it is used to test ‘real’ things but in a virtual setting, e.g. medical surgeries. This type of virtual reality can usually be achieved by wearing a head-mounted display (HMD), sensor gloves and be around screens with an excellent stereo sound. This type of virtual reality doesn’t aim at an entire engagement; it is often used for educational purposes, e.g. architecture models, surgeries. It doesn’t require more than a full screen, sound system and a joystick. This type keeps the user within a reality but allows them to see things or activities that could happen in real life. This type of reality is often used when the user is not supposed to be entirely immersed, e.g. playing virtual world games such as Second Life or Minecraft. It meets most of the VR criteria, but it offers a collaboration with other people in real life and at present. 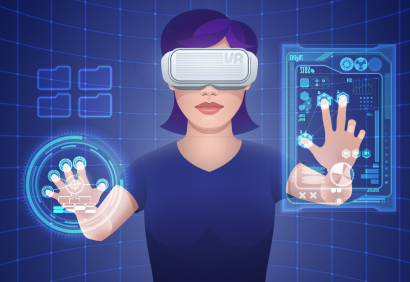 The web-based VR is predicted to change the way people use the internet, through finding new ways of shopping, using Social Media, finding information, sharing experiences with friends and much more. This type of VR is often combined with the Collaborative VR and has recently been embraced by Mark Zuckerberg, the founder of Facebook. This type is all about connecting the real world with the vast world of information that is available on the internet. Neither of them is virtual, but it will be possible to explore both of them at the same time. Let’s say a person is wandering around the city sightseeing and encounters an exciting landmark. Thanks to the augmented reality, that person can point a smartphone towards the building, and the information about will pop up on the screen. Without having to know the name or any other details, users will access a tremendous amount of information that is stored on the Web. Augmented reality is still in its early stages, and there are many issues that scientist are about to solve. By now, it should already be clear that virtual reality is not reserved only for gaming – it’s capable of doing significantly more, and scientist around the world have been working on merging VR with everyday life. The most common applications are where there is a possibility of learning a real-life experience, but with a virtual risk. Certain professions are challenging and dangerous to be thought in real life. There is simply too much risk involved in teaching someone how to fly an aeroplane, carrying out a brain surgery or making a parachute jump. By using VR, various industries can recreate real-life situations and allow people to practice and learn in a safe environment while experiencing the real-life circumstances. 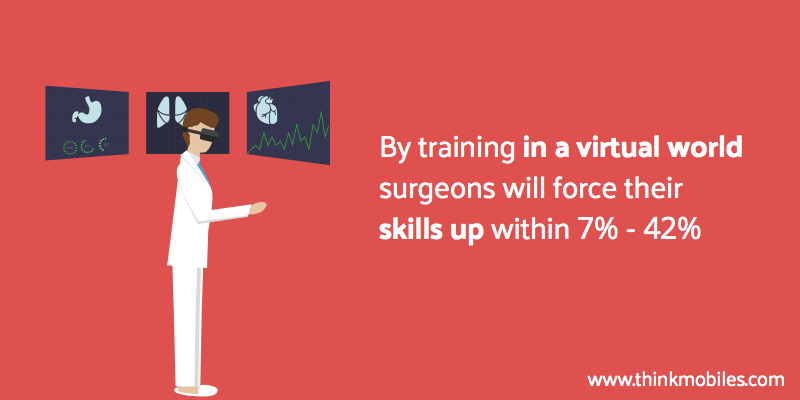 This brings us to one of the most valued applications of virtual reality – medicine. Apart from surgical training, VR also makes possible telemedicine (looking after patients remotely). One of the most famous examples is the daVinci surgical robot that allows collaboration between doctors from all around the world to work together in a particular case. Instead of working with just numbers, graphs and two-dimensional models, a scientist can have molecules in front of their eyes. New materials or drugs can be designed by putting everything together in VR as opposed to just having their eyes glued to an electron microscope. The times of drawing a design, or planning it flat on a computer, may soon be gone thanks to a 3D visualisation. Here a computer modelling overlaps with virtual reality – instead of just making a 3D model of a particular object, it can be tested and explored in various conditions and environments thanks to virtual reality. There are many pros and cons of virtual reality. The latter is naturally related to the immersive aspect of VR and possible addiction. Currently, there are already ethical issues when it comes to drawing a line between what is real and what is virtual. But the plus side of virtual reality, and the same the answer to a question of why do we need it, is one – it allows us to use technology in its entire capacity and improve our everyday life. If we put entertainment on a side, virtual reality opens up a whole new window of opportunities. From surgeons being able to save millions of lives by practising in VR, to pilots learning how to land a plane in most dangerous weather conditions. Especially if we merge virtual reality with augmented reality, the life we know and the way we use the internet will drastically change. Could you imagine walking down the street in a new country and having an answer to all the questions right in front of you on a smartphone? Exactly. While virtual reality is still in its early stages, it will undoubtedly become the future of not only the entertainment industry but one day; it may save your life. Let us know in the comments below if we answered your question on what is a virtual reality? Are you a fan of the new technology or would rather stay the way you are? We are looking forward to your feedback!